Whatever has been said and not said about Steven Gerrard's start at Ibrox, one thing is surely agreed on by all fans – the XI is not quite ready yet. We have done some excellent work in the window, with defence especially benefiting from a stunning 100% record so far in terms of impact made by the new recruits. Jon Flanagan, Nikola Katic, Connor Goldson and Allan McGregor have all enhanced the XI immensely, clearly upgrading the standard of the backline from the absolute atrocity it has been for over half a decade. Of course, tougher challenges than Bury and Shkupi lie in wait but that's three matches and three clean sheets – so whoever your opponent, we have to be happy with that start. It is in front of defence where the issues begin a touch – defensive midfield has seemed frail, with Ross McCrorie not quite ready to 'Patrick Viera' his way alone through matches. And midfield has slightly misfired – Windass and Candeias out of position hasn't helped, and neither has Arfield's injury – and up front Alfredo Morelos is having a torrid time on a range of fronts. However, a pair of significant new additions could well take a tonne of the heat off the front six, with two on-loan signings almost ready to make their way into the team. Umar Sadiq and Lassan Coulibaly are said to be a couple of weeks shy of complete readiness, but while they were hardly household names before Gerrard clinched their signatures, what we know of both players bodes very promisingly indeed and could truly help to settle the nervy midfield and attack. Sadiq is a tall, lanky lad who has five in 13 as a fringe player for Dutch cracks Breda, while managing a couple in Serie A as well. The 21-year old is known for his surprising composure for his frame, his aerial prowess, and his ability to adapt – realising his physical style was struggling in the more tactical Italian top flight, he worked on reading the game better and using his body more intelligently. Both of these styles (physical and intelligence) can stand him in good stead in the SPL. Meanwhile Coulibaly has been openly labelled a 'destroyer' – a big tough 'Scott Brown' type enforcer for the middle of the park. While Rangers already have four defensive midfielders in Jack, Rossiter, Docherty and McCrorie, Gerrard seems to be using Jack more advanced, while Rossiter sadly sits out injured for the time being. This leaves only Docherty and McCrorie, and for now, McCrorie is the man with the shirt. 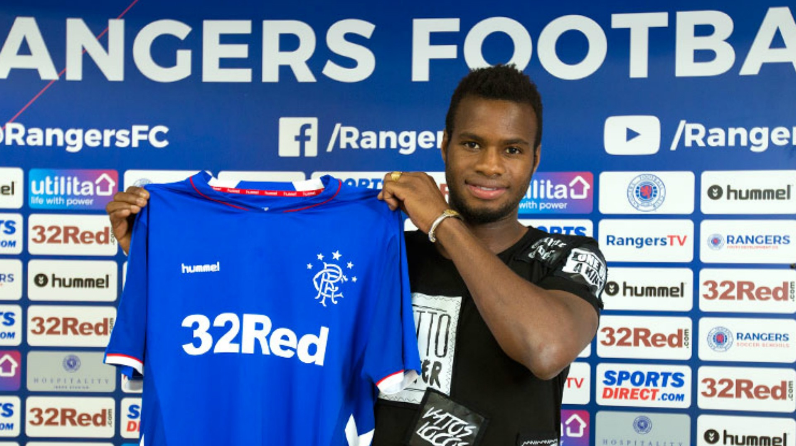 But none of these guys are the midfield general Rangers seek – Gerrard appears to be hinting that Coulibaly could well be. Naturally we'll see how effectively the Angers man is in that role in the SPL, but Gerrard's words are promising. In short, these two guys, if they deliver on the promises in the way the likes of McGregor and Flanagan at the back appear to be doing, could well be massive fillips for the XI and two huge missing pieces of the jigsaw. 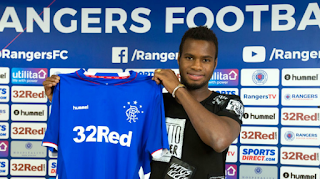 With Morelos misfiring and attack generally looking a bit disjointed, while defensive midfield struggles to impose itself, Rangers could be a fortnight away from having some of the final pieces of the puzzle. Getting an out and out striker is of the utmost importance!! I agree. It would take the pressure of of everyone knowing there is a goal a game type forward there. Defoe would be excellent. I have never felt comfortable, however, with the introduction of loan players. For sure, Sadiq and Coulibaly appear to offer impact, but they are only available for this season. My preference would be to witness a Rangers team strong enough that picks itself based on long-term quality permanent signings, such as our history shows. Players such as Docherty and Dorrans look likely to spend the season on the sidelines as a result of the loan arrangements. I should hope that players like Dorrans and Docherty will get their chance, it will be up to them to take it. I do not think Steven Gerrard will show any kind of favouritism, or at least I hope not with the loanees. If they aren't as good as other players the other players have to get a chance. I don't care if a player like Sadiq uses us as a springboard to great things in Italy. So long as he scores goals that win things for Rangers this year thats fine. We have to be realistic. We need a high calibre of player and a quick turn around in performances, if the solution to this is loanees, long may it continue. I personally would like to see a run in the team for Rudden and Middleton but they need a 'Defoe' or someone to help them along and allow them the luxury of bedding in. Morellos is finished and Windass has the ghost of failure hanging over him. It is sad for Windass, he seems to have the passion to succeed but the pst will not leave him and he needs to leave Rangers. Morellos might as well not exist. Shkupi were the kind of opposition that Alfredo should hae scored a few against to set him up for the season. He failed and he will continue to fail, football is cruel like that. I wish them both the best, but after the performances against Celtic last year it is now time for them both to go. Some Rangers fans need to get a reality check. Unknown says if Rangers win the Europa League then big clubs might come calling. Seriously? We are a million miles away from that level. I'll be absolutely delighted to make it to the Europa group stage and at the moment Id say the odds are against us doing so. I do not think we will win the Europa League, we were shite in Macedonia. The point I was making was that if it takes a bit time, we will stick by Gerrard. If it takes less time and Gerrard does something remarkable, I would like him to give us the same time and see out his contract. Point taken but you know how football works. If Gerrard fails he will be sacked. If he's a success he will move on to a bigger league ( not necessarily a bigger club). Every Rangers fan should be hoping and praying that 5 years from now Gerrard ends up as Liverpool manager because to do so he would need to be a huge success here. Sorry but I am missing something.... Consistently you refer to the fantastic start Flanagan has had! Really, for me he is bang average. Playing left back, with no left foot and while he is solid, he cannot overplay to save himself. Declan John is a very unlucky just now:he would be in my team any day of the week. I can see Flanagan as the right side of a back three but not as the permanent left back, whilst on the other flank. he has no chance of taking Tav's position. Flanagan is solid. His 50 games for Liverpool and England caps prove that too. Rangers NEED to be solid. If he makes a mistake that costs a goal, give someone else a chance. As long as he is solid, he can keep his jersey. We need 15 - 20 clean sheets in a row and solid players like Flanagan in front of McGregor will provide this. If there are more goals scored, say some 3 nils, perhaps the opportunity is there to give some minutes to John and help is career along too. 50 games in how many years? That boy is twice the right full back Tav is. Maybe 3 on a good day. We need a proper old fashioned centre forward who knows where the goal is! Morelos just not got it ! Well I hope so davyo mate need some attacking players somesay Defoe no to old need quality not O.A.P. WHO CAN HIT THE NET EVERY GAME WITHOU A DOUBT NEED TO SPEND BIG MAYBE NO GOT THE CASH N.S.E. WDDWA. As long as the boys are hungry and don't let themselves get bullied, that is good enough for me. Strikers need hunger and creativity. Last season, it was like they couldn't give the ball away quick enough and there was no creativity in the final third. So if they fix that alone, am happy to roll with it. No laziness tolerated this season. That's one thing we CAN control. Benchings. Murty was too much of a nice guy. Showed far too much faith in El-Flufallo. Gerrard, is different stuff and won't take, their primadonna antics.